#Toronto spy-craft just got the star treatment as the man with a licence to kill has a lot of secrets on display at tiff. The design of the elements in the movies help set the man apart from run of the mill spies - you know, the type without the licence. If you want pictures inside the exhibition you will need to bring a spy camera because photography is not allowed. 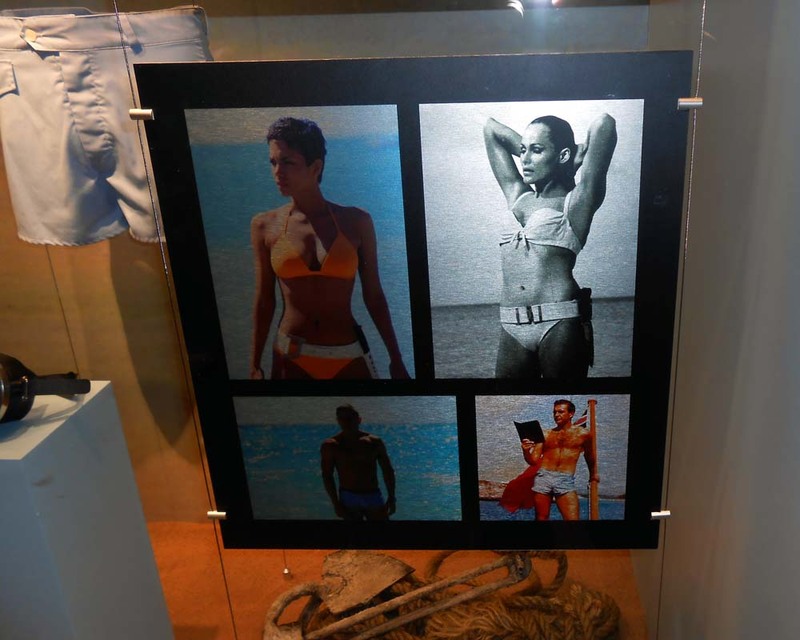 In the hallway you can check out some swimsuits used in the films including Halle Berry's orange number (complete with knife), Ursula Andress' white bikini and the trunks of both Sean Connery and Daniel Craig. 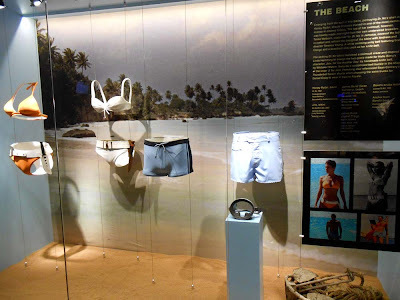 "Making its North American premiere at TIFF Bell Lightbox following its unveiling at London’s Barbican Centre this past summer, Designing 007: Fifty Years of Bond Style is the largest and most comprehensive exhibition ever devoted to Bond, featuring costumes, props, models, gadgets, concept artwork, storyboards and other fascinating artifacts from the series. 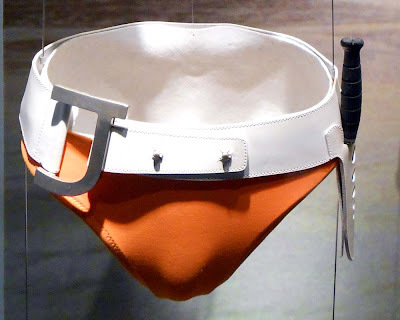 Signature Bond items featured in the exhibition include the steel teeth worn by Richard “Jaws” Kiel in The Spy Who Loved Me(1977); the Anthony Sinclair overcoat worn by Sean Connery in Dr. No(1962); the poker table from Casino Royale (2006); and multiple gadgets from Q Branch."